I love a good pumpkin dessert but I haven’t made too many savory pumpkin dishes. Pumpkin It Up! is packed with both sweet and savory recipes that you’ll want to make all year round. I really like the size of this cookbook. It’s a compact size that fits well on my kitchen counter and doesn’t get in the way when I’m cooking. It’s also full of color photos. 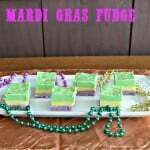 Not every recipe has a photo but more then half of the recipes do and they are simply gorgeous. I love flipping through a great cookbook with photos. The cookbook starts off with an introduction and some helpful hints. Then it is broken into Basic Recipes, Beverages and Sweets, Muffins and Breads, Breakfasts, Soups and Stews, Side Dishes, Dinners, Desserts, and Cookies and Bars. There is such a wide variety of recipes in this book and the ingredients list is simple so they are recipe that can be made by anyone. As usual I went through the book and bookmarked the recipes I most wanted to try. 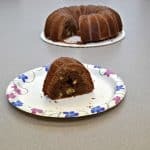 The five that caught my eye first were Pumpkin Fudge, Pumpkin Cheesecake Crescents, Pumpkin Cheesecake French Toast, Slow Cooked Pumpkin Chili, and Cauliflower Pumpkin Gratin. I have the two savory recipes bookmarked for early fall when I know they will be delicious but I couldn’t wait to get started on the sweet recipes. 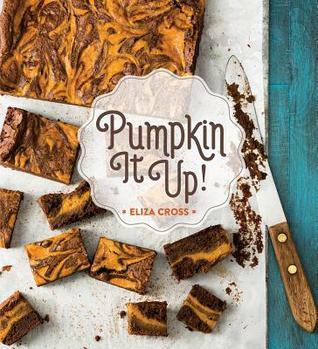 The first recipe I made from this book was the Pumpkin Fudge. The thing about this fudge is that it’s made the old fashioned way. 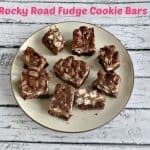 So many fudge recipes these days simple have the chocolate melted then mix in all the ingredients. t makes a good fudge but the texture is nothing like Old Fashioned Fudge. 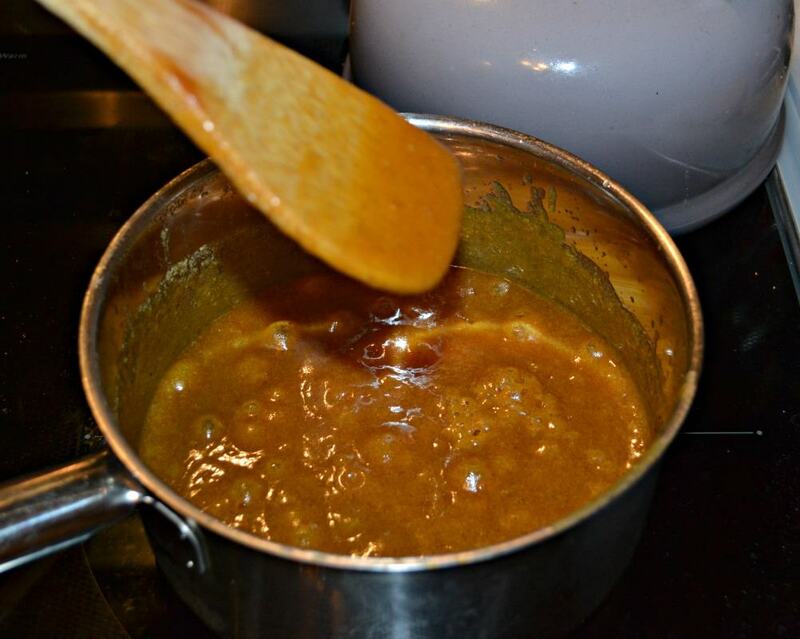 The Pumpkin Fudge is made in the old fashioned way where the main ingredients are put in a pan and brought to a boil. Then using a candy thermometer they are brought up to the soft ball stage and then the chocolate and marshmallow cream is added in. The resulting fudge is melt in your mouth delicious. There simply isn’t a substitute for fudge made the old fashioned way. The thing I love best about this recipe is the flavor. 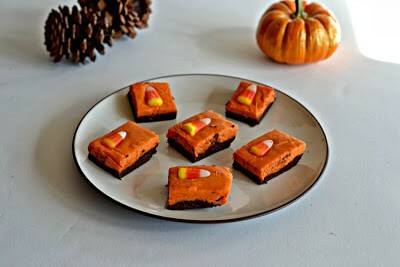 So many pumpkin fudge recipes have an in your face pumpkin flavor. This recipe has a really subtle pumpkin flavor which is delicious. The spices are in the fudge, there’s a bit of pumpkin, and I could taste the white chocolate. I ended up sprinkling just a hint of cinnamon on the top and served it to a few friends who came over after dinner one night. 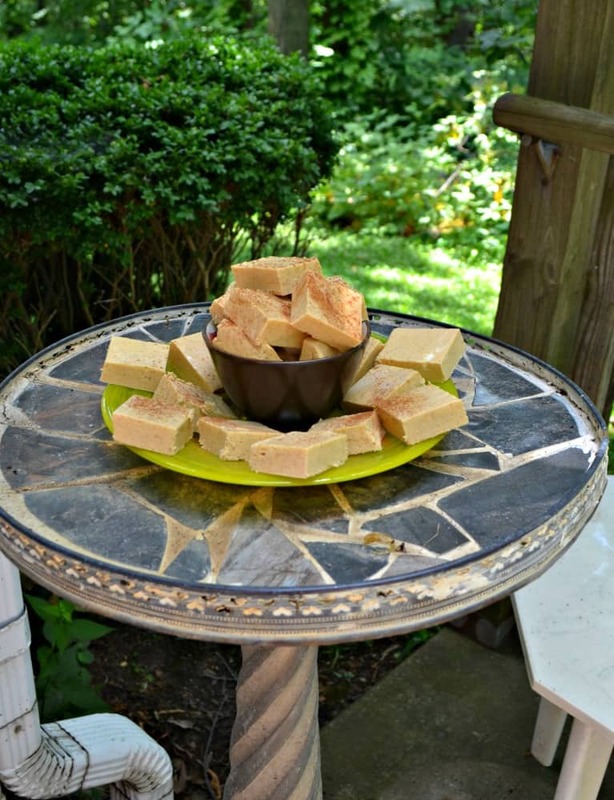 Everyone agreed that the texture was fantastic and that this fudge recipe is a keeper. 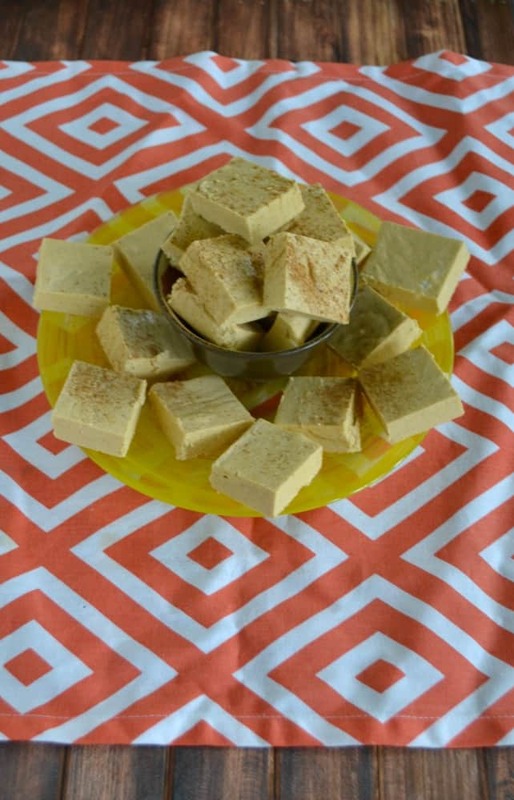 Old Fashioned Pumpkin Fudge is made on the stove top with hints of cinnamon, nutmeg, and a subtle pumpkin flavor. Line the bottom and sides of a 9 x 13-inch baking pan with aluminum foil and prepare with nonstick cooking spray; set aside. In a medium heavy-bottomed saucepan over medium heat, combine the sugar, brown sugar, butter, milk, pumpkin, and pumpkin pie spice. Bring to a full rolling boil, stirring constantly. Continue boiling, stirring constantly, until a candy thermometer reaches the soft-ball stage, 234 degrees, 10–12 minutes. Remove from heat and quickly stir in the chocolate chips, marshmallow creme, and vanilla. Stir until chocolate is completely melted, and immediately pour the mixture into the prepared pan. Cool the pan to room temperature on a wire rack, and then cover and chill in the refrigerator for 3 hours. 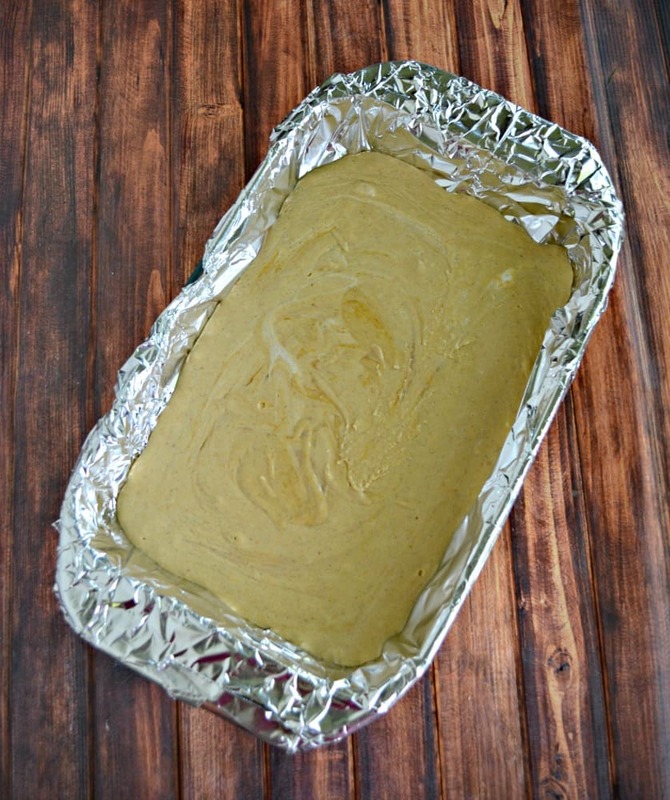 Remove the foil from the pan, and cut the fudge into 1-inch squares. 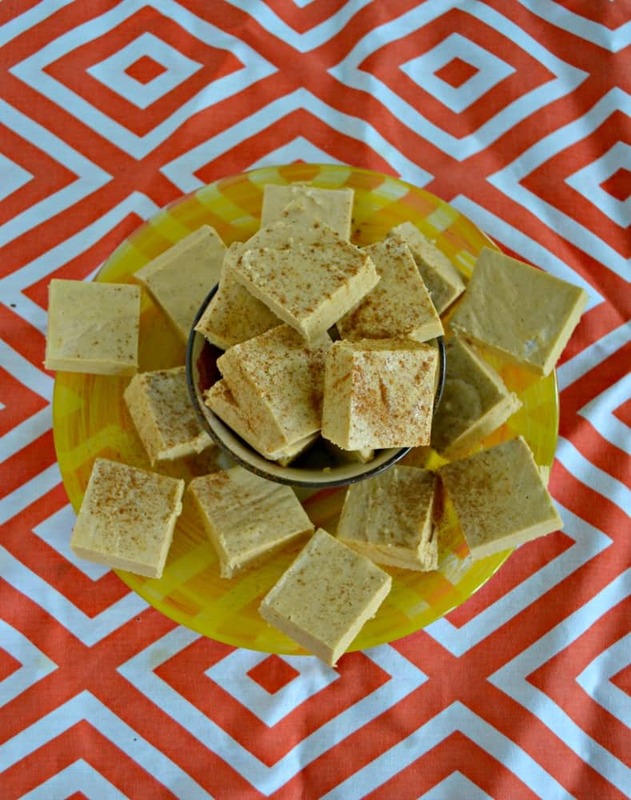 The pumpkin fudge looks great, and I love the sprinkle of cinnamon on top! I’m the book’s author, and I love your blog. Thanks for sharing Pumpkin It Up and your terrific review.